More people are listening to podcasts than ever: 40% of Americans have listened to a podcast—that’s more than 128 million people! Now that car audio systems can play podcasts and every iPhone comes with a “Podcasts” app already installed, consuming podcast content is easier than ever, and podcast listeners are a valuable audience. According to Edison Research, podcast listeners earn more money, are more educated, and are significantly more likely to engage with brands online than the average consumer. 48% of monthly podcast consumers follow brands on social media, as compared to just 31% of the general U.S. population. So if you haven’t started a podcast as part of your marketing mix, what’s stopping you? I’m about to tell you everything you need to start a podcast. At first blush, choosing a topic might seem easy, but it’s actually deceivingly simple. I recently covered choosing a topic in some detail on Mark Schaefer’s blog, but here’s the approach in a nutshell: choose a topic that’s both relevant to your audience and genuinely interesting to you. Your podcast topic also needs to align with your business goals, just like any other piece of content you produce. So don’t make it overly salesy by covering your products or services, but do choose something that relates to what you sell. For example, if you sell outdoor gear, you might podcast about camping (how to camp safely in winter, camping for beginners, exotic locations that allow camping, etc.). People who go camping would potentially be interested in your outdoor gear, so this topic is well-aligned with your business. There are all kinds of different podcast formats. You’ve likely listened to podcasts with different formats yourself. There are some podcasts that feature a single host discussing a topic (or several topics). Others feature two co-hosts. Many use an interview format (I use it for Marketing Smarts), in which one or more hosts interviews one or more guests. Some podcasts effectively feature a panel of guests and multiple hosts, but those can get unwieldy fast in terms of scheduling and editing. When you’re just starting out with podcasting, be realistic about what you can handle. If you don’t want to host all alone, consider an interview format or find a reliable co-host who’s good on the air. 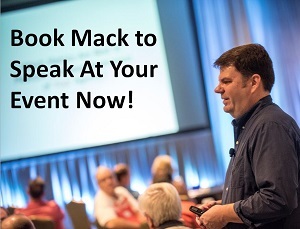 Mack Collier’s been gracious enough to co-host several special holiday episodes of the MarketingProfs podcast with me, and he’s always a big hit! You should also choose a consistent publishing schedule and stick to it. Knowing when to expect a new episode will make it easier for your audience to stay loyal. How long each podcast is depends on how much time you have to devote to podcasting. If you’re strapped for time, consider a shorter podcast, say 10 or 15 minutes. If you want each show to fit within the average person’s commute, consider producing a show that lasts around 20 to 25 minutes. You could go longer, of course, since people can stop and start listening whenever they want, but I prefer to keep episodes to 30 minutes or less when possible. Also decide whether you will edit the show or air the raw recording (with bumpers at the beginning and end, at least). Podcasts can be polished works of art or they can simply be you as the host discussing a topic for ten minutes. If you stumble over words now and then, it’s unlikely to greatly impact the experience for listeners, but if you strive for perfection, it’s (almost) attainable. Just make sure you include a budget and some time to outsource audio editing or else learn how to edit audio using whatever software you prefer (more on that in a second). I edit my own podcast episodes. Depending on how high your standards are, it can take a few minutes or several hours. The most important thing is to be consistent, so if you experiment the first few episodes to find the right format, that’s okay, but make sure you tell the audience what to expect once you’ve hammered out your plan. One-man show or interview series, two co-hosts or a panel—anything can work, but your audience needs to know what to expect each time you hit publish. Podcasting is easier than most people think, but it goes much more smoothly if you do some advance planning. Chances are your business has an editorial calendar. If that’s the case, look at the calendar and try to choose topics for each podcast episode that fit within the broader content plan. To keep track of your podcast planning, you can use spreadsheets or experiment with tools like Trello for project management, ScheduleOnce for booking guests, and Google Drive for sharing your list of upcoming guests or show topics. If your company uses a more robust content management system that includes a content calendar, make sure to use it so that your colleagues can see what’s coming up. Many people think podcasting is difficult or complicated, or that it requires a lot of expensive equipment. None of that’s true! Nowadays, you can create and publish a podcast with just a smartphone or tablet. There are apps that can help you to turn your phone into a recording studio: Check out bossjock studio for iOS or Spreaker Studio for iOS or Android devices. If you want a higher-end sound, you could use your computer, a microphone, and some noise-cancelling headphones. Once you know what equipment you’ll use, it’s time to install some software so you can edit audio (if you want to). Free solutions like Audacity or Garageband (for Mac users) can be a good option if you’re not sure podcasting will work out for you. 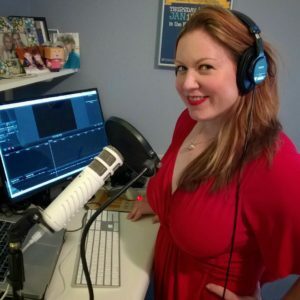 Once you know you’ll continue podcasting, you might buy a program like Camtasia for editing, or set up a plan to record using Zoom or Ringr if you’ll be recording interviews with off-site guests. You can also use Skype to conduct remote interviews, but make sure your recording software is set up to capture “system audio,” or you’ll hear just you talking with long pauses in between. I use a Rode Podcaster microphone ($229), but I’ve also recorded excellent quality audio using a Samson Meteor mic, which costs around $70. Add some Sony PRO headphones and choose a quiet location and you could easily create studio-quality audio at your home or office. For podcasts, you’ll typically create an .mp3 file or an .mp4 if you’re doing a video podcast. You’ll need to host your .mp3 or .mp4 file on a podcast hosting service like Libsyn, blubrry, Spreaker, or PodBean. You’ll upload the file, then copy the link you’ll use to share your podcast on iTunes, in Stitcher, or on your website’s RSS feed. No one will listen to your podcast if they don’t know about it. Work to drive awareness of your podcast, just as you’d work to promote an ebook, whitepaper, or webinar. Optimize your podcast’s landing page for search. You could also get podcasts transcribed, which is good for both SEO and accessibility. Many podcasters use a transcription service called Speechpad for this. Remember to make your posts about the podcast visually appealing. Even if your podcast is audio only, you need an image to accompany the podcast post. You should have a logo for your podcast, as well as custom images for each episode (ideally) that include the URL. It’s easy to create images promoting specific podcast episodes using sites like Canva or PicMonkey, or even mobile apps like Over. Share these images on social media along with a trackable link to the podcast episode so you can see how much traffic each social network drives. And remember to use your email list. Podcasts are helpful, valuable content! Be sure to share a link to the podcast in your email newsletter. In no time at all, you’ll have your podcast up and running. If you’ve chosen the right topic and format, keeping up with it should be manageable—even enjoyable—for you. Podcasting about a topic you don’t care about is work and you’ll quickly burn out. Podcasting about a topic you’re interested in is fun, and you’ll find it much easier to hold to your production schedule. Kerry O’Shea Gorgone hosts the weekly Marketing Smarts podcast for MarketingProfs, named one of the top business podcasts on the internet by FastCompany. The show features 30-minute in-depth interviews with smart marketers from all walks of life. Geoffrey James, a contributing editor for Inc., listed Kerry as one of 8 Great Role Models for Wowing a Crowd (along with Steve Jobs, Tony Robbins, and Marsha Collier). Great guide with a lot of helpful info! I’ve been eyeballing Podbean for hosting but have used blubrry in the past. I’m still with Libsyn – the original! Works for me, and they’ve just updated their analytics.